AHS prepares publications and guidelines relating to community history, architectural history and heritage places. Previously commissioned documents have been prepared both in association with local government heritage studies and as stand alone, privately commissioned projects. AHS continues to work with historians and other specialists in the preparation of some of these projects. 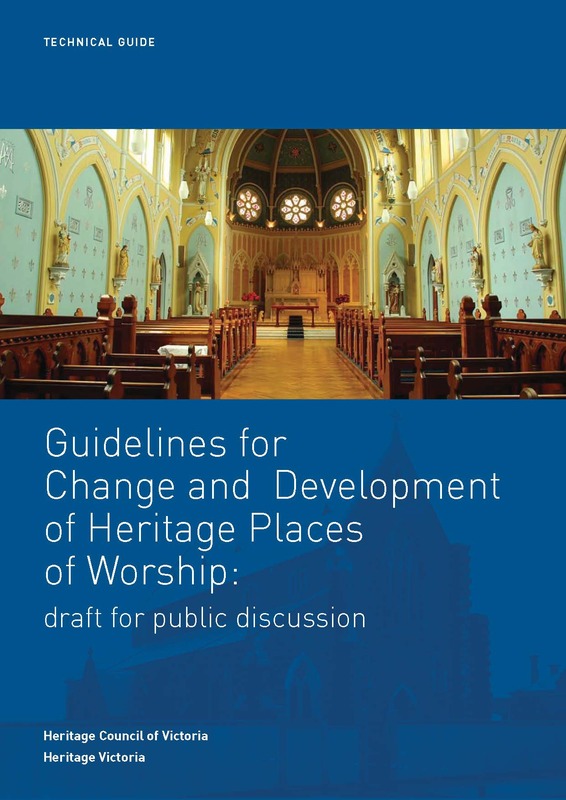 Recent publications include the Guidelines for Management Change to Historic Places of Worship, and the Heritage and Sustainability Policy Note and Technical Leaflets for the Heritage Council of Victoria.